Nev, a 24-year-old New York-based photographer, has no idea what he's in for when Abby, an eight-year-old girl from rural Michigan, contacts him on Facebook, seeking permission to paint one of his photographs. When he receives her remarkable painting, Nev begins a friendship and correspondence with Abby's family. But things really get interesting when he develops a cyber-romance with Abby's attractive older sister, Megan, a musician and model. Prompted by some startling revelations about Megan, Nev and his buddies embark on a road trip in search of the truth. 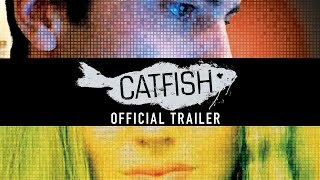 You can buy "Catfish" on Google Play Movies, Apple iTunes, Rakuten TV as download or rent it on Rakuten TV, Google Play Movies, Apple iTunes online.